The choice for feature films, videos and trailers, including the iconic movie theatres. The largest film exhibitor that probably operates your favourite mall theatre, Cineplex offers some of the best theatre experiences out there. 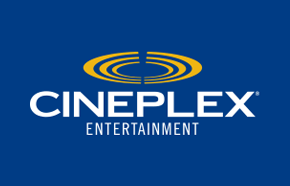 With complete concession, 3D screens and many promotions including the scotia bank SCENE card and opportunities for free shows, Cineplex is your choice for film entertainment.